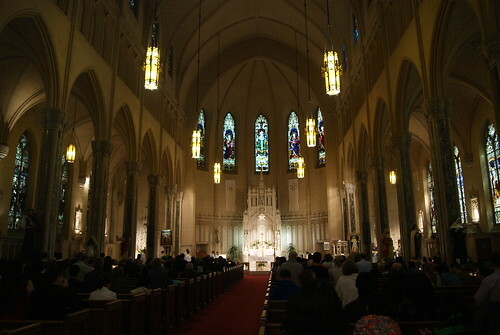 We just heard mass at St. Patrick Catholic Church along Mission St., San Francisco. This church dates back in 1850s. It's good to see the church almost full with people and a lot of Filipinos actively participating as lay ministers. 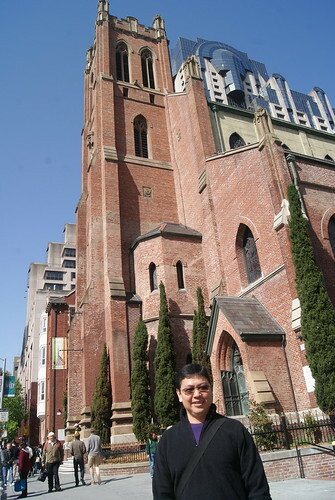 Filipinos are natural church goers, when you see a catholic church, expect a Filipino to be involve in their activities. That is such a very nice church! :) And yes to starting Sundays with mass with the family! Filipinos are blessed because of our great devotion. I like the architectural design of the church. Well like what Ron mentioned Filipinos are church goers.